Sarah Benjamin’s Black Friday Sale! Classic. Chic. Contemporary. Current… Cincinnati. Sarah Benjamin’s is a contemporary women’s boutique in Mariemont. The boutique carries a variety of quality pieces that cater to multiple lifestyles for every woman! The friendly environment is the perfect place for any woman to come and receive great styling services. 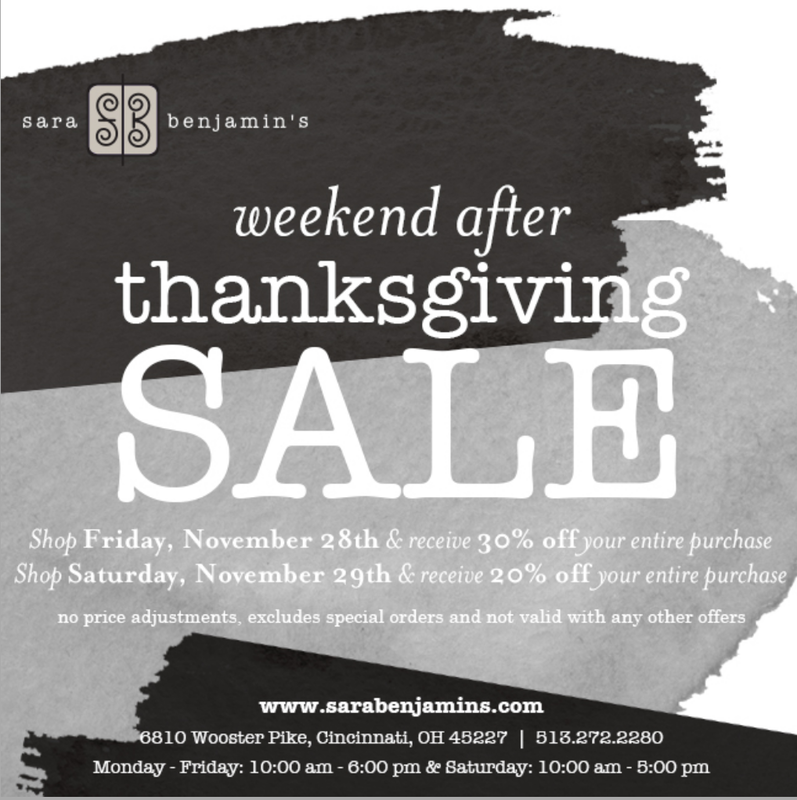 Sarah Benjamin’s is hosting a great Black Friday sale this weekend! Make sure you visit the boutique to receive the best deals of the season.